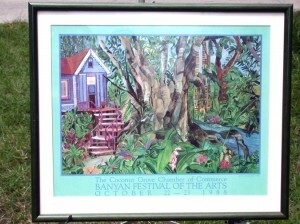 Poster Artist: 1988 Banyan Arts Festival, Coconut Grove, FL. Poster Artist: Banyan Arts Festival, Coconut Grove, FL. In 1982 she created her Art card company to broaden her opportunities. Next Next post: Cover Artist: Orlando Home Magazine, Orlando, FL.